Blade® is a professional beer draught system. Blade's small footprint and innovative compression system that doesn't require CO2 or other gasses allows you to serve premium draught beer from any countertop. Start pouring like a professional with Blade and two premium beers in one bundle. Serve 2°C freshly poured Heineken and Birra Moretti beer, at home. 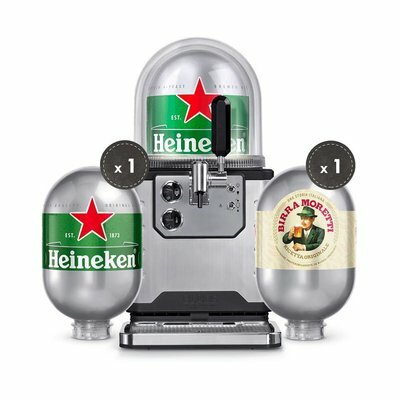 This bundle includes the Blade appliance, 1x Heineken 8L keg and 1x Birra Moretti 8L keg. 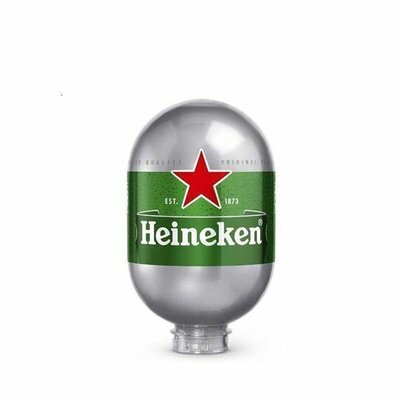 Heineken® is a 5% moderately bodied & light premium beer with fruity notes, with a lingering fruit and balanced bitterness for ultimate refreshment. Founded in 1873, brewed in Amsterdam and sold in over 192 countries around the world. 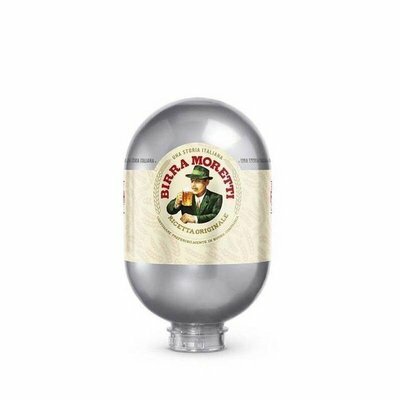 To produce Birra Moretti, only the highest quality raw materials are used and a particular mixture of valuable hops give the beer its unique aroma, intensifying the pleasant slight bitter flavour.